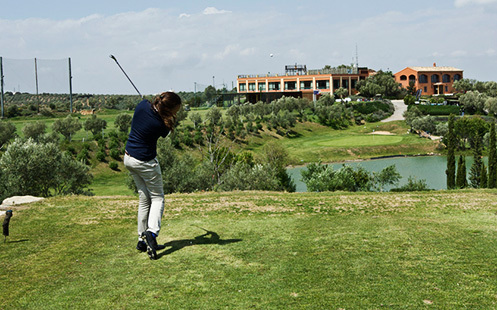 At Antequera Golf you will find all the services you need for your day’s game. Buggy and club hire, individual classes, or even a delicious lunch at our Golf Course Restaurant. Find out more about our facilities and services and make your visit an experience to repeat. The ideal place to relax after a day’s game. Attractive, Andalucian style and in an enviable location, here you can enjoy marvellous views of the countryside, Antequera and the mountains of the Natural Park of El Torcal and the Peña de los Enamorados, now listed as Natural World Heritage sites. You will quickly understand why the terrace is a favourite spot for our players. Comfortable and cosy, we suggest that you enjoy the tranquillity and trying one of the delicious offerings from the café. There are 3 different rooms available, all versatile and with fabulous views; they are the perfect location for meetings and all types of events. 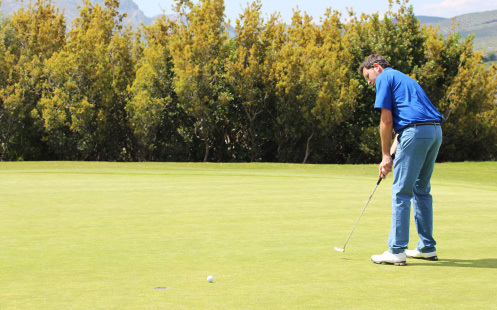 Our players have full facilities and golf services at their disposition. There is a floodlit driving range with 24 places for individual use and par 3 for short game and chipping practice. There is also a pitching green, 2 exclusive putting greens with a bunker in order to practice the hits from different flag positions, changing rooms and club storage room. At Antequera Golf, perfecting your game is always possible, with the best team of professionals on hand for all of your needs. If you would like to perfect your game, play a round with an expert, or need classes for children, you can count on our team. 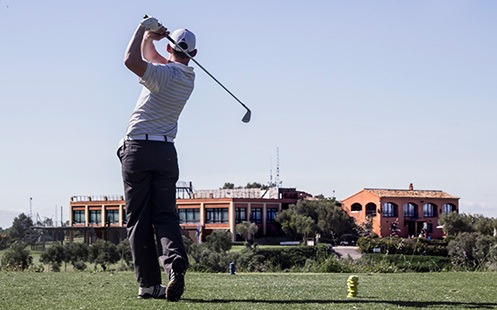 Antequera Golf offers training and personalised classes with a professional instructor. Classes are available in either Spanish or English. Players at Antequera Golf can also enjoy a shop specialised in golf equipment and accessories, following the latest trends and stocking the best brands on the market. A great temptation for fans of this sport! Ask our Caddy Masters for more information about hiring buggies, trollies and golf clubs. 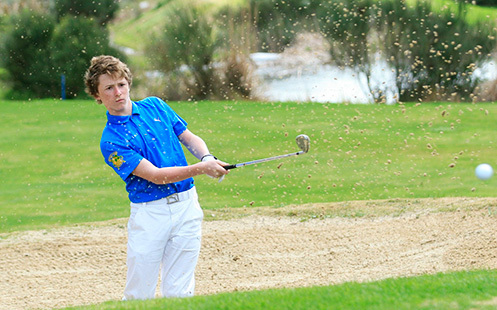 Only Antequera Golf prepares your visit with suggestions 100% tailor made for the golfer. You can complete your stay by relaxing after your day of golf in one of the spas. 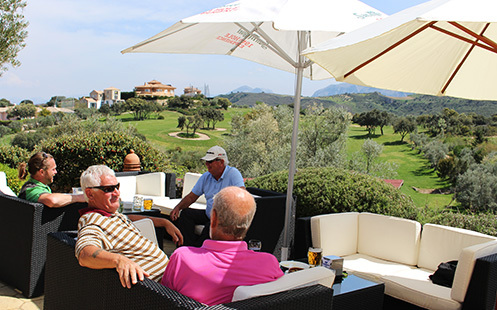 Alternatively, you can stay in one of the Antequera Golf Group’s own hotels. 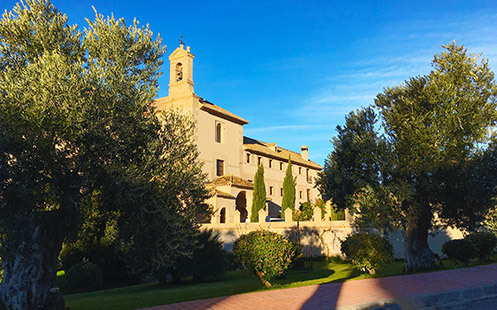 You can choose between Hotel Antequera 4* and Hotel Convento La Magdalena 5* (where you have direct access to the course, and hole 15 becomes the first hole). As you will see, we can help you both with your game and your moments to relax.